On 9 February 1907, in the rain, the National Union of Women’s Suffrage Societies held the first large-scale women’s procession through London. The finishing point was Exeter Hall on the Strand, now the site of the Strand Palace Hotel. LSE Curator Gillian Murphy introduces the LSE archive material on the “mud march”, and the speech given at Exeter Hall by Jewish novelist Israel Zangwill. Exeter Hall stood on the site of what is now the Strand Palace Hotel from 1831 until 1907. 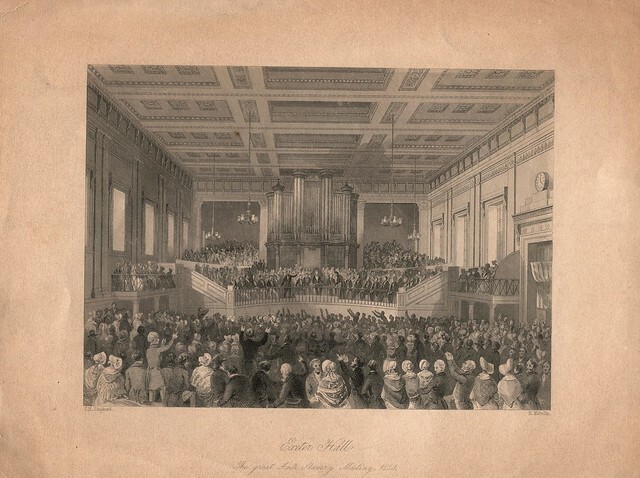 This image shows the interior of the Hall hosting an anti-slavery meeting in 1841. Women marched resolutely through torrential rain, from Hyde Park Corner to Exeter Hall, in what became known as the “mud march”. Kate Frye described this procession in her diary entry which is given in this blog by Elizabeth Crawford. 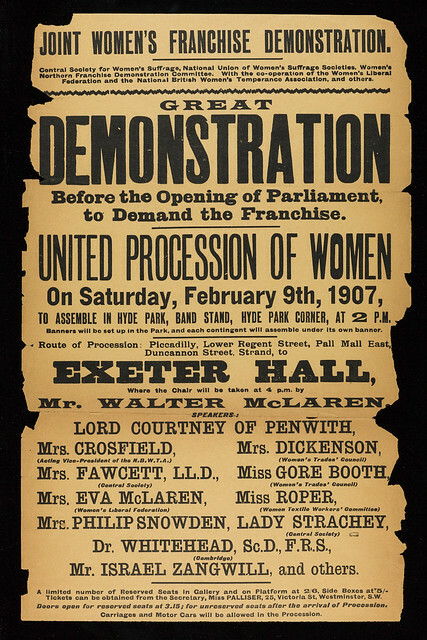 The reason for the procession and meeting was to raise public awareness for a private member’s bill for women’s suffrage at the opening of the Parliament, which used to be held in February. Walter McLaren chaired the meeting, and his wife, Eva, a member of the Women’s Liberal Federation, gave a speech. Other speakers were the couple, Eva Gore Booth (Women’s Trades Council) and Esther Roper (Women’s Textile Workers’ Committee). 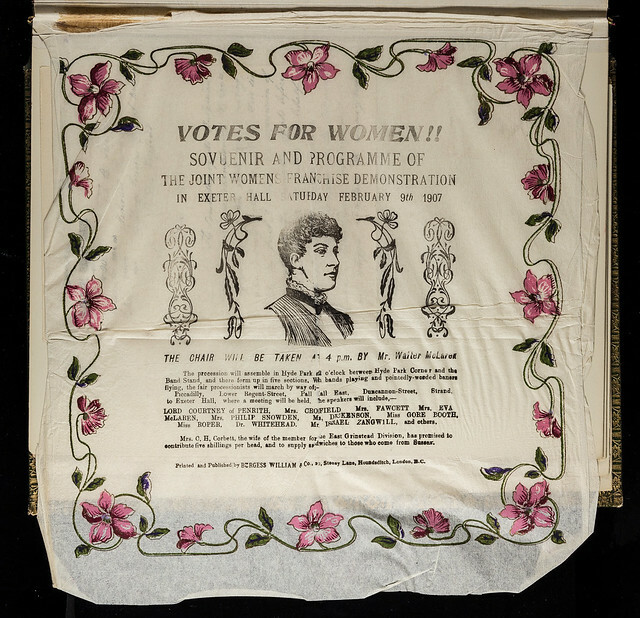 Lady Strachey had supported women’s suffrage from the 1860s. 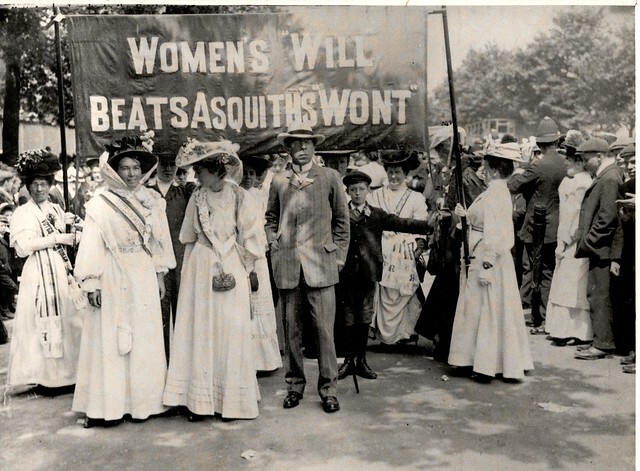 Millicent Garrett Fawcett, who also campaigned from 1866, becoming president of the NUWSS in 1907, spoke too. Israel Zangwill, a Jewish novelist, pacifist and Zionist activist, was noted by Kate Frye as a witty speaker. How do they justify their monstrous proposition that one half of the human race shall have no political rights? Our case, I say, is so simple, that it is like having to prove that one and one are two. Indeed, this is precisely what the opposition denies. It says that one and one are not two; that in politics, one man and one woman are only one, and man is that one. Woman is a separate and individual personality; a human soul, and what is more to the point, a tax-payer…her standpoint, her interests, differ vastly from man. How dare we then leave her out of the reckoning? Our Constitution would work not only better, but with a fairer balance of powers, if the House of Lords were replaced by a House of Ladies. Today she calls upon Parliament to have done with this flabby friendliness, this police of endless evasion. Today she cries: I fight for justice, and I answer that I shall have it.